This is a positively stellar set of wines from proprietor Kevin Harvey and longtime winemaker Jeff Brinkman. Harvey describes 2016 as having a warm spring before reverting to a more normal weather pattern beginning in July. Yields at Rhys were low, but not as dramatically low as in 2015. In tasting, the wines are silky, perfumed and highly nuanced. Readers should note that all the appellation-level wines are now being sold under the Alesia by Rhys label. 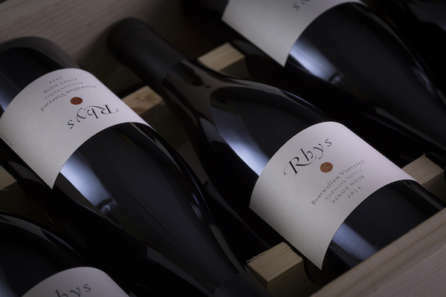 Rhys fans will also want to check out the Aeris label of Italian-variety wines made in Italy and California, which are reviewed here separately. The Nebbiolos I have tasted from Aeris in particular are hugely promising. Supple and racy in the glass, the 2016 Chardonnay Bearwallow Vineyard is simply gorgeous. Apricot, chamomile and lightly tropical notes meld together in this super-expressive, inviting Chardonnay. The 2016 has a lot to offer. Unlike most Rhys Chardonnays, the 2016 Bearwallow will drink beautifully right out of the gate.93. The 2016 Chardonnay Alpine Vineyard is fascinating to taste next to the Horseshoe, as it is quite a more tropical and generous in feel. Even so, there is quite a bit of energy running through the passionfruit, pineapple and yellow stone fruit. The Alpine will appeal more to readers who enjoy oily, textured Chardonnays. 95. The 2016 Chardonnay Horseshoe Vineyard is laced with the essence of citrus peel, mint and white flowers. In this range, the Horseshoe is all about tension and energy, all presented in a lifted style that is incredibly appealing. I very much like the vibrancy and focus here.95. The 2016 Chenin Blanc Mt. 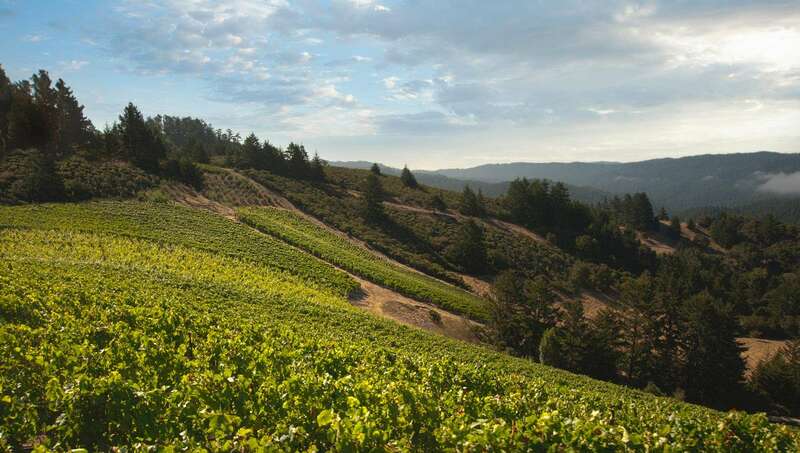 Pajaro Vineyard is the first wine off of this newly developed site, and it is gorgeous. Dried herb, pear, chamomile and lightly honeyed notes fill out the wine’s frame effortlessly. The Chenin has a phenolic-like character that is super intriguing.92. The 2016 Pinot Noir Bearwallow Vineyard is a soft, seductive wine. Silky tannins frame the floral, red and purplish berry fruit nicely. This is one of the more nuanced and delicate wines in the range. In fact, the Bearwallow comes across as a bit hushed today relative to how it showed from barrel. There is plenty to admire in the 2016. Best of all, the Bearwallow should drink well with minimal cellaring.92. The 2016 Pinot Noir Bearwallow Vineyard Porcupine Hill offers terrific depth and textural resonance in its dark cherry and plum fruit. Today, the difference between the two Bearwallow Pinots is not large. The Porcupine Hill offers a bit more depth and overall structure than the straight Porcupine Hill. 93. The 2016 Pinot Noir Family Farm Vineyard is beautifully lifted and precise. Bright red berry fruit and floral notes are nicely layered in a Pinot that speaks to understatement and class. In this range, the Family Farm stands out for its crystalline precision and nuance. All the elements are simply in the right place. The 2016 was done with 15% stems, the least Rhys has used for the Family Farm. 94. One of the many highlights in this range, the 2016 Pinot Noir Home Vineyard is magnificent. Ample, broad and super-expressive, the Home is exceptionally polished. The 100% whole clusters are not at all noticeable. Instead, it is the wine’s understatement and total sense of class that carry they day. Ideally, readers should plan on cellaring the Home for at least a few years. Even in the early going though, it is quite special. 95. The 2016 Pinot Noir Skyline Vineyard is another stellar wine in this range. Deceptively medium in body, the Skyline is translucent, focus and lifted, yet also packs a serious punch. Beams of underlying tannin give the wine much of its shape and salivating energy. This is another wine in which the 100% whole clusters are impeccably balanced. In this tasting, the Skyline impresses for its completeness, as it really plays in all dimensions. What a gorgeous wine it is. 95+. The 2016 Pinot Noir Alpine Vineyard is seamless in the way it floats on the palate. Bright and intensely perfumed, the Alpine is marked by its deeply-pitched aromatics and overall finesse, all of which give it a feeling of total sophistication. Today, I find the Alpine even more compelling than it was from barrel. Time in the glass brings out the wine’s silkiness and overall allure. Alpine was the lowest yielding site for Rhys in 2016. 95. The 2016 Pinot Noir Swan Terrace is another star in this range. Soaring aromatics and finely sculpted fruit are just two of the signatures in this sublime, utterly captivating Pinot Noir from Rhys. here, too, the 100% whole clusters are very nicely integrated. The Swan Terrace is a wine of regal sophistication and elegance. Don’t miss it! 96. Even better than it was from barrel, the 2016 Pinot Noir Horseshoe Vineyard is a flat-out stunner. Crazy, beautiful, deeply spiced aromatics literally explode from the glass. Broad and ample on the palate, with tremendous intensity, the Horseshoe has a lot to offer. Orange peel, mint and spice overtones add an exotic flair. This is an utterly captivating Pinot Noir from Rhys. 97. The 2015 Syrah Horseshoe Vineyard is quite rich, and yet it also has tremendous freshness, especially within the context of the year. Today, the Syrah is a bit more reticent than it was from barrel, but all the ingredients are present for the 2016 to blossom into a spectacular wine over time. The Syrah spends six months in French oak and a second year in cask. Time in cask seems to really bring out striking detail and structure while maintaining a good deal of freshness as well. 96+.